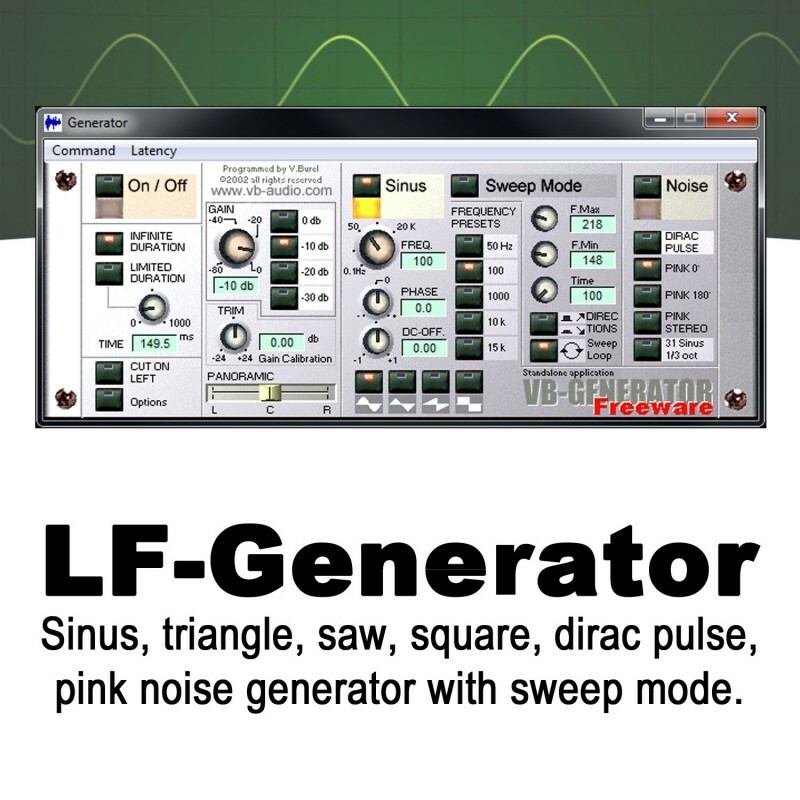 LF-Generator for all types of measures and benches. Standalone Application for Windows using the default playback device in 44100 Hz. Download LF-Generator now on VB-Audio Freeware page. - Sinus / Triangle / Saw / Square generator. - 0.1 Hz up to 20 kHz range. - Stereo or Mono Generator with phase control on stereo signal. - Sweep mode with 2 directions and cycle mode. - Dirac Pulse & Pink Noise.